Browse agriculture-nets suppliers by country and region. Italian leading producer and suppliers of Flyscreen, insect screens. With quality as its fundamental value. Windows vertical screens manual or motorized with remote controls rechargeable via a solar panel. Lateral screens ball bearing slide systems, large horizontal screens. Patented method for doors screens with no lower guide and eliminated the issue of net popping off the frame. 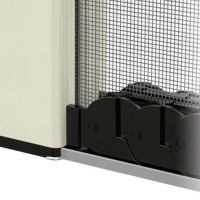 Horizontal pleated insect screen up to 5 mt openings. Haian Minglu Rope Net Co., Ltd.
Short on time? Let agriculture-nets sellers contact you. Argentinian 100% pure certified Raw Honey: Halal Honey, Organic Honey, traditional Honey direct from beekeepers., Argentinian agricultural field products from farmers., Italian industrials misting machines for dust, odor control, and cooling., Italian roller shutters and Flyscreens, Artisanal Hammocks, Lifting strips, anchoring systems, anti-fall polyethylene and/or nylon nets certified EN1263/1-2. Hand made nets with knots, self-extinguishing nets, building, and agricultural nets. Explanations: Meshes of the netting are : 18-16mesh , 18-14mesh , 16-14 mesh etc. Width of the netting : 61cm , 71cm , 80cm , 100cm , 110cm , 122cm , 142cm , 152cm , 162cm , 183cm. 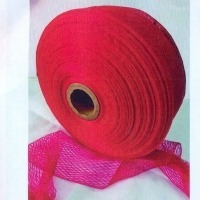 We can produce every kind of special specifications , colour , meshes as per customer's requirements. Main colours : black , white , green , yellow , grey , silver grey etc. Shouguang Lvye Sunshade Net Co., Ltd.
ShouGuangShi wizard of shandong province ZheYangWang factory is located in hometown of vegetables S323 provincial highway close to shouguang, traffic is convenient, the geographical position is superior, is specialized in the production of ZheYangWang and canopy quilt manufacturers, the production of various colors and quality ZheYangWang (10 meters) singles, service life of 3-5 years, particularly the service life of the product is above 5 years, the products suitable for flowers, seedling raising base, canopy shade, fishing and livestock, poultry breeding, ginger nets, etc. Every square metre 60-125 grams. Our products are high, medium and low-grade specifications, can meet the needs of different users society, can according to customer's requirement. Welcome to telephone to talk over. Model:lv-1088 specification:0.4-10m Material:PE(Low-density polyethylene, 5000s, with a tensile strength, anti-aging, anti-radiation, UV, the role of oxidation) Length:5m Wideth:10m Use:shade Aperture:3mm Wire diameter:0.5m. 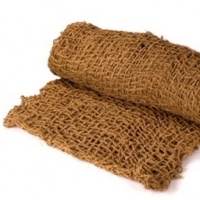 Seedbed mesh is welded with good quality wire, the structure is strong and durable. Normal wire diameter: 4.0/3.0mm Hole size: 120mm x 25 mm, 130mmx30mm, 50mmx50mm Max size: 1.9mmx4m Hot dipped, flat, durable and anti-corrosiion It is also can be galvanized or powder coated. With the professional experience, we can supply it well as per customer's reqirements. Using high density polyethylene (hdpe) as raw material, add a certain proportion of fine woven wire masterbatch, shading, temperature, moisture, prevent rain, wind and reduce insect spreading functions. Widely used in vegetable, fruit, edible flowers, all kinds of farm and the cultivation of cooling, heat preservation. Supply a full line of shale shaker screen for main brand shakers, such as Derrick, Brandt, Swaco, Kemtron, Halliburton, FSI, etc.